This latest Airtel Facebook social bundle plans which give 10gb for N100, 20gb for N200 and unlimited data for N300 to Airtel customers was unveiled yesterday. Many have subscribed to it and now, and forums, BBM and WhatsApp groups has been buzzing on how to use this enticing data plan to browse on PC and Android without restrictions. The search for how to download with airtel 20gb for 200 or how to get the 10gb for N100 working Psiphon handler so you can power all your apps with it as been on. Now, i have good news for you. You can now use Airtel 20gb for N200 or any of the other option to gain unlimited browsing with Psiphon Handler..
Before we proceed to how to download and browse with either the 10gb for 100, 20gb for 200 or with the 100gb for 300, why don’t we take recap of how to subscribe to Airtel Facebook social bundle plans here. Note also that The Airtel Facebook social plan works on Opera mini and other social apps like Facebook, Facebook messenger, WhatsApp, BBM etc. Now that you know how to subscribe for it, shall we then move quickly to how to use it with psiphon handler to power all your app and download with it. 1. Psiphon Pro Lite (Download below ). Thereafter, go to OPTIONS and select UNITED STATE as or you can as well choose any that suites you. Now click on MORE OPTIONS and untick CONNECT THROUGH HTTP PROXY. We promised to tell you how you can download with this on opera mini right? well here is it. Many of you noticed that you were unable to download with the new airtel social plan on opera mini web browser, here is a solution to that. 4. Now look closely beside it, you will see a Go To Site button. Just click on it. 6. Now go to the file you want to download and copy the link inside the box then click Go To Site. 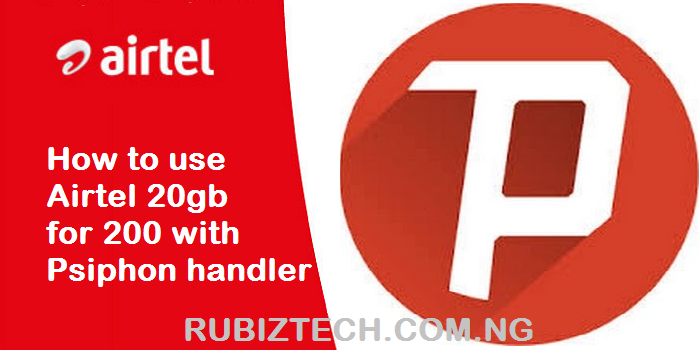 Click here to download psiphon handler apk. If you minimize Opera Mini in Android and try to run other apps which needs much RAM then, Opera will be closed automatically and all of your running and paused and running downloads will be gone. So beware of that. Now that you have connected your airtel 20gb for 200 with Psiphon handler for unlimited internet browsing, how is the speed at your end? Airtel b for 200Naira is back and active on opera mini and its blazing flawlessly. That’s an interesting update. Thanks for sharing and don’t enjoy alone, get your friends to know also by sharing the this post with them. Please what is the latest airtel tweak? ?? Non for now. I will post an update once we have one. Hello, please find detailed guide on how to use UC browser and it’s settings here if you have further questions, do well to let us know. Happy browsing. The psiphon handler is not connecting..? long airtel cheat worked again.